I stood staring at the crumpled, wind-battered flyer on the noticeboard. Something had stopped me in that moment, something had driven me to contemplate those words, chewing on them slowly in my mind. I sat down from afar, staring from my solitary bench at the baby blue and sunflower yellow words, the cliche associations of flower-power, group hugs and fairy-cherubs bombarding my thoughts. Certainly, the notions associated with healing your inner child are not always universally appealing, but in that moment I instinctively knew that there was some deeper truth and value there, something powerfully healing. And so began my quest to re-parent myself, my journey to reconnect to that lost and lonely inner child. If you are interested in creating more wholeness and happiness in your life, keep reading what I discovered. A simple enough question, and something we all have a unique answer for. While some of us had supportive, loving and open-minded upbringings, others of us experienced neglect to varying degrees. You developed low self-worth and esteem for yourself. You began ignoring your emotional needs. You learned to hide from, avoid or repress your emotions as they were associated with feelings of neglect from your childhood. You developed psychological or physical sicknesses connected to your inability to listen to, accept and deal with your emotions in healthy ways (e.g. emotional repression). You developed low self-esteem issues due to forms of abuse such as ridicule, put-downs, overly high expectations, being ignored, rejected, or constantly punished. You developed deep-seated anger issues both from unresolved childhood trauma, and an inability to love oneself. You developed addictions and neurosis to create a misguided sense of comfort and safety within your life. You developed psychological and/or physical illnesses. You have problems sustaining healthy and respectful relationships. Low self-worth resulting in physical neglect/abuse of oneself, e.g. eating disorders (anorexia, obesity), maintaining an unhealthy diet, self-harm. Addictions to drugs, alcohol, violence, food, etc. Sexual dysfunction or promiscuity (often due to sexual abuse). It’s important to remember that while some, or even many, of our problems stem from childhood neglect – grudge-holding, blame and self-pity will get us nowhere. People are victims of victims, meaning that the reason why our parents/guardians behaved the way they did was most likely because of their neglected upbringing, and their parents were the way they were for similar reasons – and so on and so forth. The real culprit here is a lack of awareness for oneself and one’s actions. Sitting on that lonely bench staring at the blue and yellow flyer, I realized something. Our parents or guardians may not have fulfilled all our needs or any of our needs, but we can. The concept is strange, even foreign to us, but we can be our own parents. Not only that, but we can actually re-parent ourselves if we put in enough time and effort. Healthier mind, body and soul. Development of essential life skills: acceptance, forgiveness, vulnerability, compassion, self-love. From what I have experienced, witnessed, and researched, the following steps will help you to reconnect, and re-parent your inner child. 1. Be willing and open to make that connection. Hosting any doubt, hesitation or cynicism will slow the process of healing that vulnerable, childlike side of yourself. 2. Think about what you were like as a child. Meditate on how you felt, what you liked, disliked, and what your hobbies and passions were. Gain a clear image of who your inner child is. Looking at old photographs can stimulate many memories (and in my experience stirs a lot of emotion, so you may like to prepare yourself). 3. Encourage your childlike self to come out and “play”. For example, try doing something you loved as a child (e.g. blowing bubbles, swinging on a set of swings, eating candy, playing with toy cars, doing handstands). 4. Introduce more “playtime” into your life. Be silly. Do something pointless and ridiculous just for the pure enjoyment of it. As “grownups” we have this absurd unspoken belief that life must always be serious; about responsibility and duty. The quickest thing to age you is not your body, but your mindset. 5. Explore why you have been so out-of-touch with your inner child. 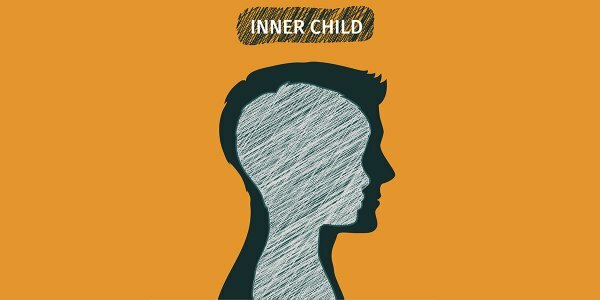 What was it that happened in your childhood or adolescent years that cut you off from that vulnerable, innocent and playful side of yourself? How did your parents or guardians treat you as a child? Did they cater to your emotional, psychological and/or physical needs? Did you experienced any trauma? How do your thoughts, feelings, behaviors and beliefs reflect what you experienced as a child? In order to better know yourself and the reasons why you’ve ended up in the place you are, it is essential to ask these tough questions, and seek for solid answers. 6. Take steps to provide a safe, supportive and nurturing life for yourself. In order to truly re-parent yourself, you must develop Self-Love. You must be able to see that you are intrinsically valuable, loveable and worthy, and take steps to affirm that in your life. Such steps could include daily affirmations, e.g. “I am worthy. I honor my inner child. I am safe and loved. I have freedom and happiness.” Other steps could include changing negative habits and mindsets and replacing them with new ones, treating and rewarding yourself, as well as developing mindfulness and awareness of your fundamental emotional, psychological and physical needs.
? This is What Sand Magnified Up to 300x Looks Like [Photos] What I Learned From A Spontaneous Spiritual Awakening 8 Years On ?